Note: 37 years ago today, John Lennon was murdered in New York City. We can guess. Just look at the thousands of testimonies of women after abortion with similar stories. The staff would have urged Julia to “delay” motherhood. Not forever. Just until she was in a better place to parent a child. Abortion would have seemed the only “sensible” solution. So Julia’s son was born on October 9, 1940. Julia’s sister Mimi and her husband raised him. And as a teenager, this boy, John Lennon would help form a band called the Beatles. Julia maintained a relationship with John. She was very influential in his development as an artist. Sadly, she died in a car accident in July 1958. So she never saw his enormous success. Ten years later, John wrote a poignant song for his mother, entitled, “Julia.” It appears on The White Album. Julia, ocean child, calls me. Julia, seashell eyes, windy smile, calls me. So I sing a song of love, for Julia. In 1944, Patricia, age 16, got entangled in a torrid love affair. The man, Edward, was a Canadian soldier stationed in Britain during the war. He was married. Patricia shared with Edward that she was pregnant. Edward rebuffed her. After his tour of military service ended, Edward left his pregnant wartime mistress and returned to his wife in Canada. Patricia was afraid, embarrassed, and did not want to parent this child. If you favor “abortion rights,” and fancy yourself a pro-choice feminist, you “know” what her best choice would be. How many John Lennons and Eric Claptons were never born? Thankfully for lovers of blues and rock and roll music around the world, abortion was not legal in Britain. On March 30, 1945, Patricia gave birth to her son, Eric Clapton. Patricia relinquished his care to her parents. Patricia’s son would go on to become an accomplished guitarist, singer and songwriter of blues and rock in the Yardbirds and Cream. Then he’d embark on a very successful solo career. Clapton is the only three-time inductee to the Rock and Roll Hall of Fame. He continues to tour, write and perform for millions of adoring fans. Tragically, most women and men in the arts favor legal abortion. They think that it’s the progressive and compassionate position. They don’t reflect on what abortion costs the world. How many John Lennons and Eric Claptons were never born? How many life stories, full of complexity and compassion, got sidelined into oblivion? After a tumultuous adolescence, and the Beatles’ meteoric rise to international fame, John Lennon found peace at age 40. He had a stable, loving family and a strong solo career. Tragically, on December 8, 1980, a crazed fan shot Lennon in front of his apartment in New York City. 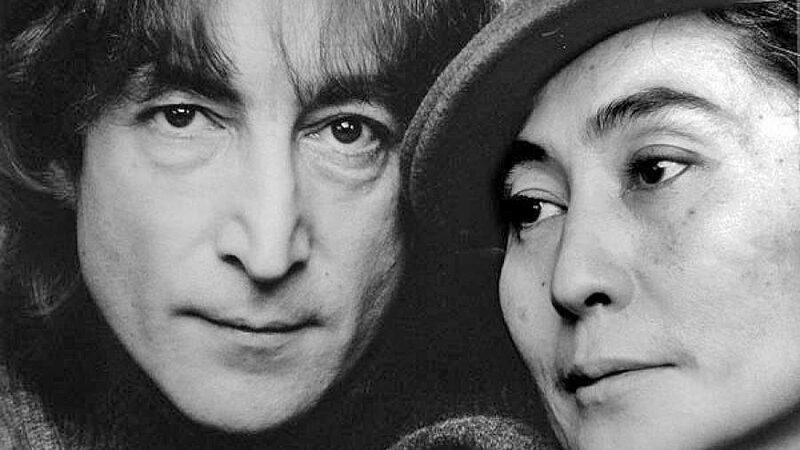 Double Fantasy appeared in November 1980 – less than a month before John’s death. It proved he was still creating beautiful and engaging music. I remember when I learned of his murder. Like many fans, I was in shock, and deeply saddened. They tumble blindly as they make their way across the universe…. Limitless undying love which shines around me like a million suns. It calls me on and on, across the universe. Point taken, but I’d really prefer a life unpolluted by Lennon’s awful music. I can never forget that awful news and how the world grieved. I appreciate this article, thank you. I’ve read many accounts like this, highlighting famous people that could have died early due to an abortion. I understand the perspective, but is the point moot if I dislike the famous person or their accomplishments, or what about the vast majority of people who live unremarkable lives? Would the article be as compelling titled “Imagine … The Janitors We’d Have Lost if Abortion Had Been Legal Sooner.” If not then that says something regrettable about how we value people. I agree with what you’re saying here, I was exploring one of the hazzards to this line of thinking. In essence the argument can be seen as abortion is bad because it could have deprived the world of a remarkable person. By tying the morality of abortion to the perceived value of the victim it begs the alternate question, is abortion then somehow OK if the life spared is unremarkable? I don’t think for a second that Kevin Burke believes that, but that is a common argument of the pro abortion crowd especially in regards to down syndrome and other genetic abnormalities. They tie the morality of abortion to the perceived value of the victim. I hear the same reasoning about poor people, aborting their kids lowers the welfare rolls therefore it is good. While this article and others like it provide an alternate view using that reasoning, it doesn’t fully dispell it. And the odds aren’t on our side in that regards for there may only be 1 in a 1000 people that the culture edifies as remarkable. Hopefully that better explains what I’m getting at. At the age of 41, a single peasant woman became pregnant for the first time. At her age and economic status, she would probably have been advised to get an abortion. But she didn’t and had a son she named Alois. This son would grow up, and get married and have a son named Adolf Hitler. If abortion was an option back then, perhaps the world would have never experienced the holocaust. You and he were just alike. You place no value on human life, and you have zero compassion. Imagine the art we’ve lost by abortion NOT being legal sooner. While it’s obviously true that we would have lost art had famous artists been aborted, we are ignorant about the other consequences of that. For example, perhaps without the artists listed here, effort would have gone to support other artists who would have become just as famous (this is just one invented example, of course there are trillions of others). In this sense, artists are probably better thought of like plants. The tallest and biggest eventually win out and take over, but if they don’t, there are countless others naturally moving towards filling that space. Likewise, in the example Trilemma gave about Hitler, there’s no telling what the world would be like without the hard lessons learned from that history, or who else could have arisen to cause even worse problems. We are bathed in an endless ocean of causality, with no individual being able to understand the full consequences of anything, whether perceived to be good or bad. This is why dogmatic and absolute thinking will always leave space for harm, and why true compassion is an incredible difficult path, requiring constant attention and refinement to build skill.